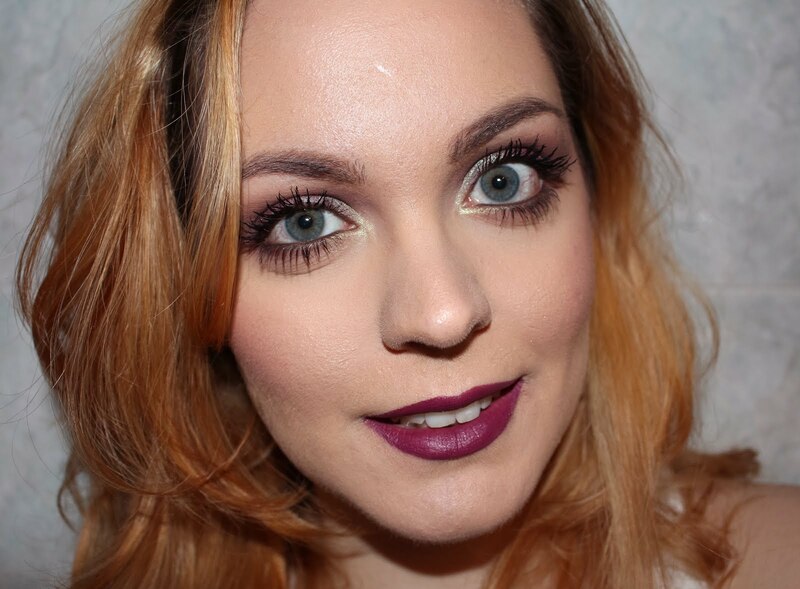 Today I wanted to talk about a drugstore product I have been loving a lot lately. It's from Kiko and it's part of the Midnight Siren collection, now on sale on their website and in store. I bought the first shade as soon as the collection was released, but as soon as I saw the quality of the first shadow, I went out and bought two more. 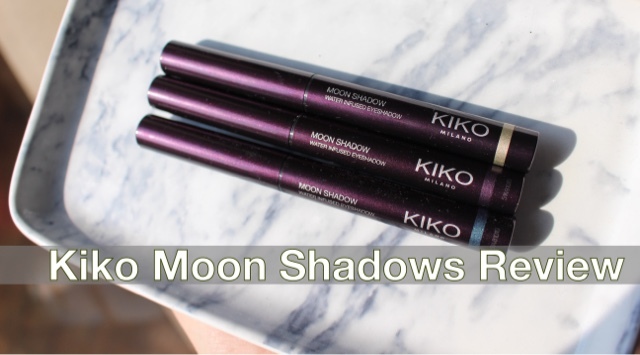 I'm talking about the Kiko Moon Shadows, which are stick eyeshadows with a high water content. The main reason why I love this product is because it's the perfect one-step smoky eye for when you only have 10 minutes to get ready but you still want to be fashionable (or for when you're feeling extremely lazy). You can easily place the shadow all over the lid and blend it into the crease, put on some mascara and be out the door in the blink of an eye, looking like you made the extra effort when you really haven't. Sounds like a dream come true, right? Of course you can use those shadows as bases, applying some powder eyeshadow on top, but I find the shades really beautiful and pigmented and I don't think you really need to take that extra step. 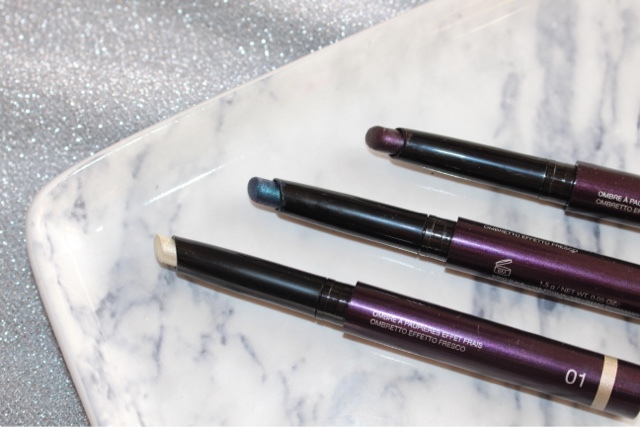 The concept of the Moon Shadows is really similar to the Long Lasting Stick Eyeshadow, but yet it's a little bit different. 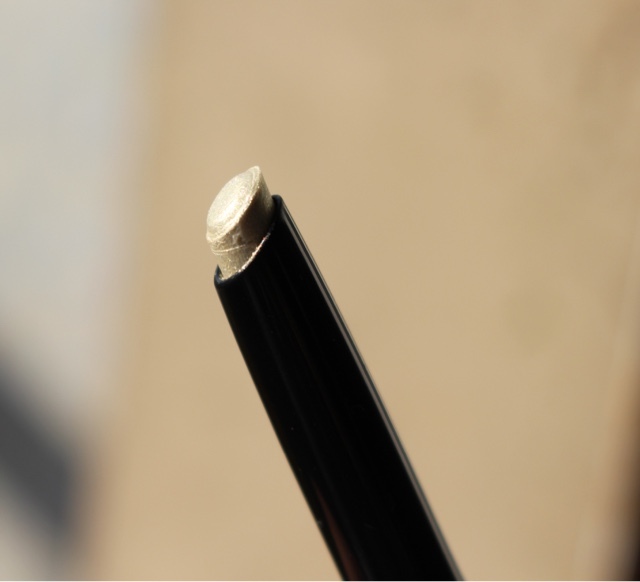 The texture is light and smooth, nice to wear all day long. The formula cools upon application from the high water content and glides on the skin easily without tugging. 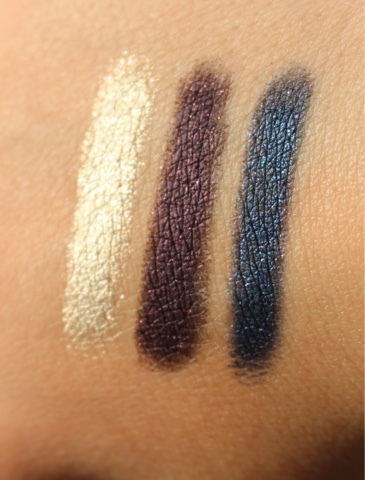 The shades, as you can see from the swatches, are really glittery, but the color pay-off tends to stay the same even after blending. I haven't noticed glitter fallout either. The shadows are blendable and you have some time to play with the product before it sets, but once it does, it's going to stay on without budging for hours. I tend to wear makeup for at least 8 hours per day, so it's really important for me to find "life-proof" products: if I wear a primer underneath, those shadows do last even more than 10 hours. I totally think that those shadows are worth the money, especially now that you can find them on sale! What do you think about those shadows? Have you bought them? Let me know!